CONGRATS (USA) (Bay 2000-Stud 2007). 7 wins-1 at 2, Santa Anita San Pasqual H., Gr.2. Sire of 906 rnrs, 607 wnrs, 31 SW, inc. Turbulent Descent (Hollywood Starlet S., Gr.1), Haveyougoneaway, Emma's Encore, Wickedly Perfect, Forever Darling, Venus Valentine, Polar River, Overture, Jacaranda, Stronger Than Ever, Cash Back, Jupiter Gold, Check My Cheeks, I'm Steppin' it Up, Nora's Cat, Portside, Laudation, Yes to the Dress, Pat on the Back, etc. Red Mary (f. by Congrats). Winner. See below. BEAU CHOIX (Elusive Quality). 7 wins from 7f to 8½f, US$425,694, Belmont Rob n Gin S., L-twice, Pimlico James W Murphy S., L, Saratoga Quick Call S., L, Keeneland Allowance, 2d Gulfstream Park Appleton S., Gr.3, Monmouth Restoration S., L, Belmont Island Sun S., L, 3d Belmont Jamaica H., Gr.1, Saratoga Fourstardave H., Gr.2, Gulfstream Park Canadian Turf S., Gr.3, Aqueduct If Winter Comes S., L, 4th Belmont Poker S., Gr.3, Gulfstream Park Appleton S., Gr.3, Belmont Lemon Drop Kid S., L, Saratoga Win S., L. Sire. LAST BEST PLACE (Gone West). 3 wins-2 at 2-at 8¼f, 8½f, Meadowlands World Appeal S., L, Gulfstream Park Allowance, 2d Calder Mel's Hope S., L. Sire. Belle Cherie Mary (Grand Slam). 2 wins. See above. Devine Entry (Point of Entry). 2 wins at 2 in 2017, 2d Laurel Heft S., L.
Portamento (Shamardal). 5 wins-4 at 2-to 6f, Chester Corbettsports.com H., Goodwood Irish Stallion Farms 2YO S., Haydock Racing UK Tipstar Pundit Competition 2YO S., 2d Newbury Hackwood S., Gr.3, Doncaster S., L, Newmarket Adnams Mosaic S., 3d Abu Dhabi HH The President Cup, L, 4th Chester Queensferry S., L.
BELLE CHERIE (Belong to Me). 6 wins. See above. UNBRIDLED BEHAVIOR (Unbridled's Song). 11 wins-1 at 2-from 5½f to 8½f, Colonial Downs Chesapeake S., L, 3d Hoosier Park Michael G Schaefer Mile S., L, Pimlico Woodlawn S., L, Monmouth Spend a Buck S., L, 4th Keeneland Transylvania S., Gr.3, Mountaineer Mile H., L.
BE MINE TONIGHT (Belong to Me). 4 wins-1 at 2-from 6f to 11f, Aqueduct Times Square S., L, Allowance, Belmont Allowance. Majestic Quality (Quality Road). Winner at 8½f in 2017, 2d Fair Grounds Rachel Alexandra S., Gr.2, 3d Santa Anita Summertime Oaks, Gr.2, Indiana Oaks, Gr.3. Diski Dance (Songandaprayer). 11 wins-2 at 2-at 5½f, 6f, US$295,005, 2d Aqueduct Toboggan S., Gr.3, Charles Town Blue & Gold S., L, Aqueduct Fred Cappy Capossela S., L, Laurel Dancing Count S., L, 3d Monmouth Decathlon S., L, Mr Prospector S., L, 4th Pimlico Maryland Sprint H., Gr.3. Another Level (Emcee). 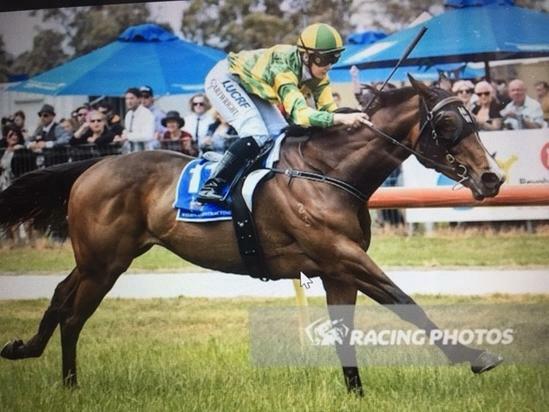 2 wins at 2 in 2017, 2d Retama Park La Senorita S., L.
Winner at 1300m in 2017-18 in Aust.